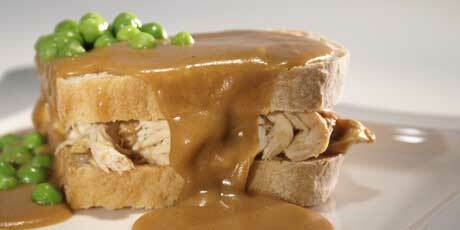 Sandwich: Remove oyster from chicken thigh and set aside. Working one at a time, pound each thigh between two pieces of plastic to an even 1/8-inch thickness. Let sit, covered with plastic, at room temperature while preparing remaining ingredients, at least 30 minutes and up to 1 hour. Each can of chicken will make about 16 to 20 sandwiches. The chicken and the soup are just poured into a pot over medium heat. After the mixture comes to a boil, reduce the heat to a simmer. You’ll just do the 1-2-3 fried chicken dance (soak, dredge, fry) and people will rave about your chicken sandwiches for literally years. See, that wasn’t so scary. After you fry your chicken, you’re pretty much done, and the ball is in your court. Place the sandwich buns in a hot pan and let it toast until heat through and slightly browned. 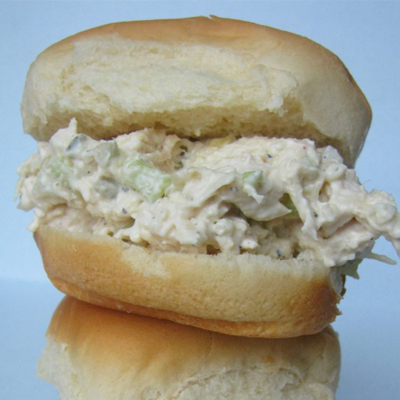 To serve, place 3-4 tablespoons of Alfredo chicken filling on the bottom half of the buns. Sprinkle some chopped onion, tomatoes and lettuce on top. Sandwiches aren't just for lunch. 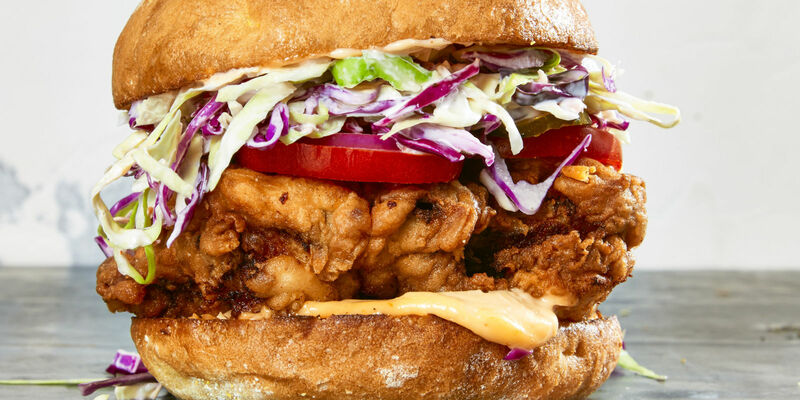 These hot chicken sandwiches take center stage as the main dish for quick and easy weeknight meals that taste just as delicious as they look.